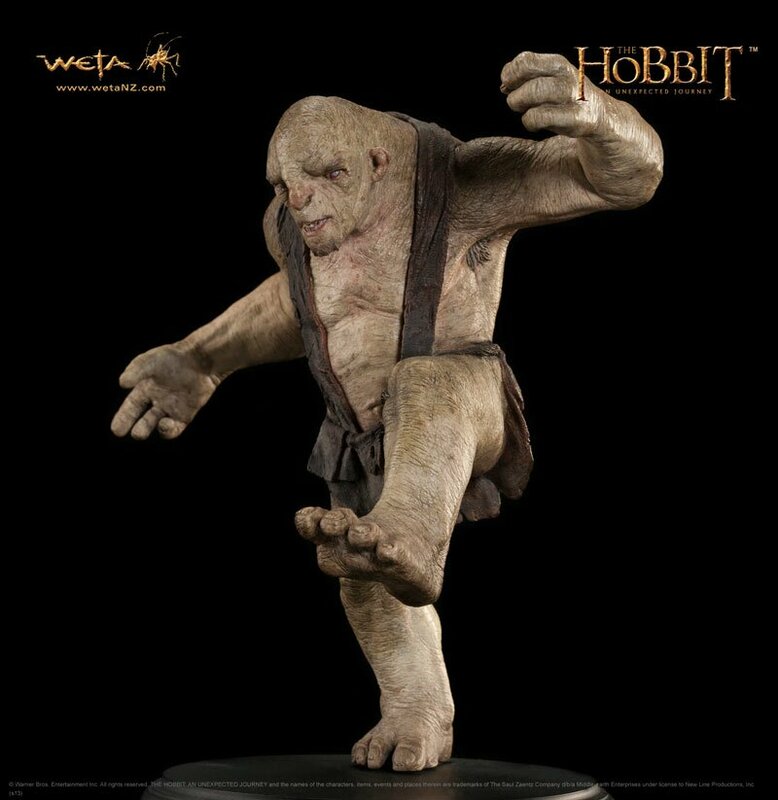 Hobbit - Tom the Troll - WETA(WETAHTT) The Hobbit movie and book collectibles. The first misfortune to befall Bilbo Baggins and his Dwarf companions on their quest to reclaim the Lonely Mountain comes in the form of three gruesome Trolls with plans to cook the Company for their dinner. Dimmest of the three ruffians, Tom the Troll resides at the bottom of their brutal walloping order. Wheedling, allergy-ridden and lazy-eyed, Tom frequently catches blows from his companions, though when he reaches for his handkerchief to blow an over-stuffed nose on the evening they steal the Dwarves’ ponies it is a ‘burrahobbit’ that he catches instead! The first in a set of the three Trolls from The Hobbit: An Unexpected Journey, Bert and William are also available to display together. Tom the troll was played by William Kircher in the movie. He is presented asa finely detailed miniature collectible designed and sculpted by Weta Workshop creature designer Andrew Baker, who made the conceptual designs for the trolls and other creatures in the movie.